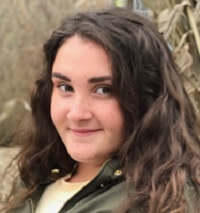 Leah Joyce is one of HSJ Online's 2018 Hauser student columnists. She is a Hauser Jr./Sr. High School junior. "I tend to spend my time dribbling up and down a basketball court, sliding into second, or even running along State Rd 9. But, if you can’t find me there, search the public library, and you can find me cuddled up with a good book. I might even be listening to some music. I was told the pen is mightier than the sword, and the world is my oyster, so this is where my journey begins!" The people of Hope have always considered themselves to be a family; and this year, the bond within the community was severely tested. Trevor Frazee, a fellow student from Hauser Jr./Sr. High School, fell ill and passed away causing hundreds to mourn. Our principal, Dr. David Wintin, went to each individual class, with swollen eyes and a raspy voice. It took everything from him to inform the students about the tragedy. In a heartbeat, we became speechless, and a few of us even let out a broken cry. At this dark moment, the news affected everyone in the community, friend or foe. However, through this tragedy, we began to rely on each other for moral support. Students who participated in sports were given the day off, and all practices and games were cancelled for the evening. Students arrived at school the next day with grief written all over their faces. Since many of us students were mourning the loss of our fellow classmate, the faculty at Hauser established support groups. The guidance counselor, Kelli Hoeflinger, was instrumental in this effort. The community of Hope also struggled when a car accident injured four of Hauser’s students. When we first found out about the crash, we were at lunch and anxiously waiting to figure out what happened. A few people realized there was a crash involving four students. No one was able to eat or continue to pass a volleyball. Instead, we huddled close to our friends and prayed for the best. Once again, Dr. Wintin addressed us personally to deliver the bad news. Immediately, we all shared the same thought: what worse thing could happen to our Hauser family? John Bragg, Veronica McKinney, Sarah Vanderlind, and Erin Newcomb were all survivors of the crash. Each teen received a few bumps and bruises, but Erin remained in a critical state. The entire town prayed for her recovery, and continually cheers her on toward that recovery. The return of three of our fellow classmates to school thrilled us. Everyone is enthusiastically awaiting Erin’s first day back to Hauser. The town of Hope spread and continues to spread awareness for both Trevor and Erin. Special By Design, a screen printing shop in Hope, sold t-shirts. Proceeds were used to support the families and help them pay for funeral and medical expenses. What I, myself, and my fellow classmates learned from these tragedies is that life is not a fairytale. Not everything happens the way we plan. But, thankfully, time heals wounds. Since we live in such a heartwarming community, called Hope, we know we will get through all of this together.